These fibrous-rooted, tender perennial begonias are usually grown as annuals. Their flowers can be white, pink or red and are produced throughout the summer until the first frosts. The compact plants can also have attractive foliage. They are one of the few bedding plants that are satisfactory in partial shade. Grow from seed or buy young plants. If growing tuberous begonias for show the female flowers can be removed but there is no need to do this for garden displays. The stem and foliage can be brittle so support with canes as the plant grows. 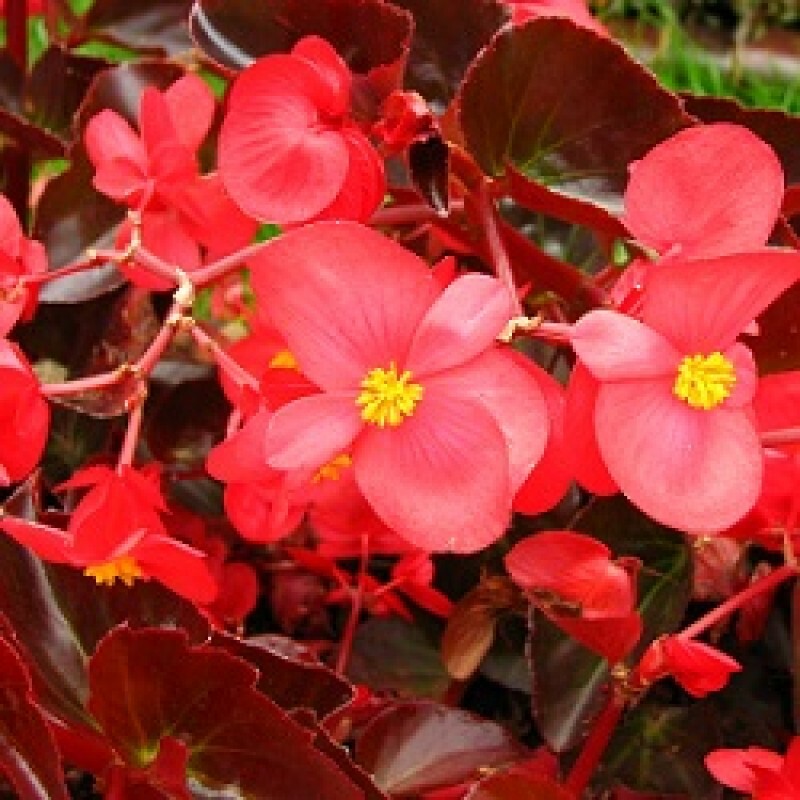 Tuberous and semperflorens begonias have different growing habits and therefore require different propagation methods. plants nature is indoor and semi shade.